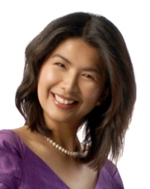 This week’s guest post was written by Charmel Delos Santos, a private trader, author, mother of three, and ex-beauty queen wannabe. 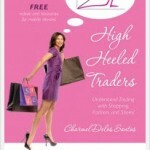 Ger her free preview ebook, “High Heeled Traders,” and learn how to trade profitably like only a woman can. I taught my 2-year-old daughter a children’s song last week and she has since been humming it for days—she seems to like repeating an itty bitty three-word-part she can’t keep out of her head. Like golden nuggets of wisdom, some words nicely strung together can have a lasting effect. So let me share how I strung some words together and got some immediate and far-reaching publicity. In December, I finished a book on stocktrading for women and decided to go on a “business and pleasure holiday.” I live in Sydney, Australia and went to holiday in the Philippines where I came from originally. After a week of splashing island time, we pitched TV stations and got their interest. Two TV stations promptly sent their news crews for my book launching there. One TV station aired it on the evening news immediately following, and the other one aired the video clip three times on their cable channel! A reporter wrote an article, Stock market trading is like shopping, for the news website which bannered in their “Profiles” section for days. Also, the articles and video clip received high viewership and were consequently bannered in the “Most Read” features, even beating the article on Facebook IPO! Back here in Sydney, I pitched our local newspaper, the North Shore Times, and they wrote a feature article on the book. After publication, I thanked the journalist and told her about all the interest it generated and offered to send her a complimentary book. She replied and asked me how I’d like to have a “book giveaway” promo on their Facebook site! Journalists are busy people. Attract their attention right away by putting the statements that will jump out at them in the headline or subject line or in the very first paragraph of the press release. My book and my messages have global appeal which is “investing/share trading for women,” but I made an effort to make it a juicy, relatable topic for the local audience. No jokes required, but a little play on words that will make a journalist smile, be amused or feel good will surely get you into their good graces. If you can get a weighed down journalist to lighten up, imagine how he could use that to good effect to his audience! I compared two vastly different concepts “trading is like shopping.” If you can do so with a resulting comic effect, that would be so much better. 3. Make a “challenging” statement. This could be a totally new perspective or state a little-known but increasingly important point. I also said “more stay-at-home moms are trading” because they like the flexibility and want the extra income. So there! Weave some magic into the words you use to pitch the media. You’ll have more credibility and get more publicity! Humor is often underrated and once used effectively, it could make a difference and even make you stand out from the rest of the other pitchers. Love the the need for local touch tip too, Ms. Charmel. A little bit of local this and that from time to time will help your pitch become more relevant. You bet, Johna!. Too few PR people even consider humor when pitching. Anything that makes a journalist smile is good. Thank you Jonha and Joan! I really wasn’t sure about using the humor in the pitches, it is not “talked” about a lot in publicity tips, then I thought journalists are probably the people who will appreciate it having a very busy, intellectually intense job. 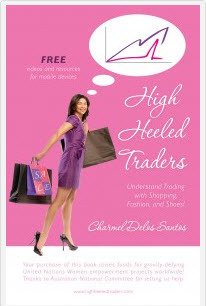 I also get a lot of positive feedback loving the humor in my book on stocktrading for women, “High Heeled Traders” so I thought I’d let the humor seep into the pitch to keep up the “theme”. Just like Joan’s “dog” theme in the blog and products, makes it really memorable and fun! Charmel, how about making humor part of your branding? Thanks Joan, I am developing my ideas on that. My brand right now reflects “stocks and shoes” the logo is a stock chart that is stylized in the shape of a high heel shoe (the registered trademark). People say it is clever and has a bit of humor in it. I am still exploring other ways to show the humor in the brand. Thanks very much!